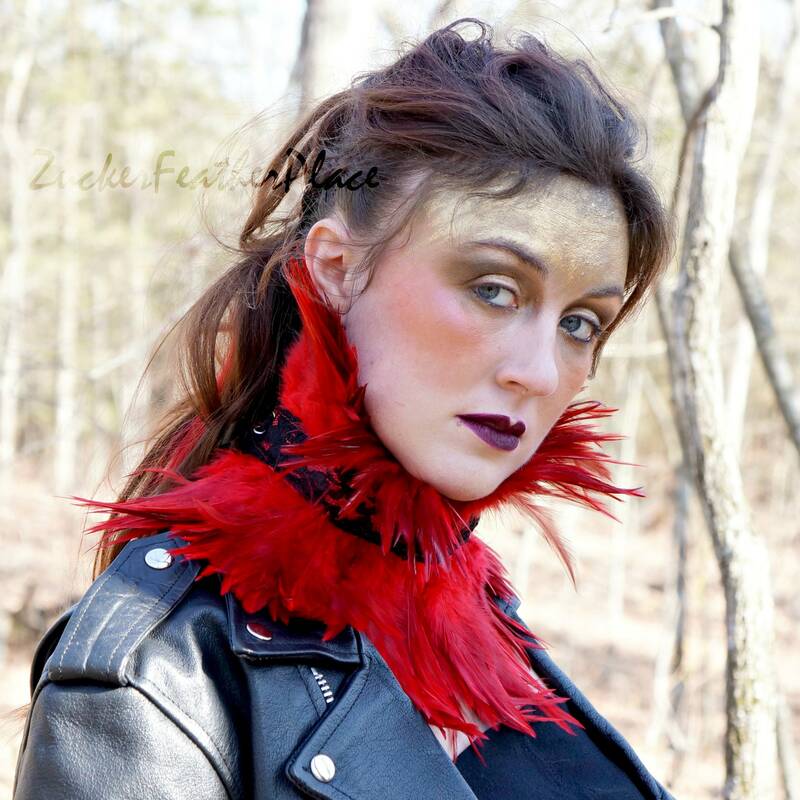 Zucker Feather Place Original Designs! These Feather Chokers are made with Dyed Rooster Saddle feathers approximately 4-5 inches long measuring a total of 10 x 13.5 inches. The feathers are sewn into a 1" strip of lace on the outer edge, while the inner lining is made with white satin for a very comfortable fit when worn around the neck. Adjustable satin ribbons tie this feather choker off nicely and will look good whether worn in the front or back of neck. 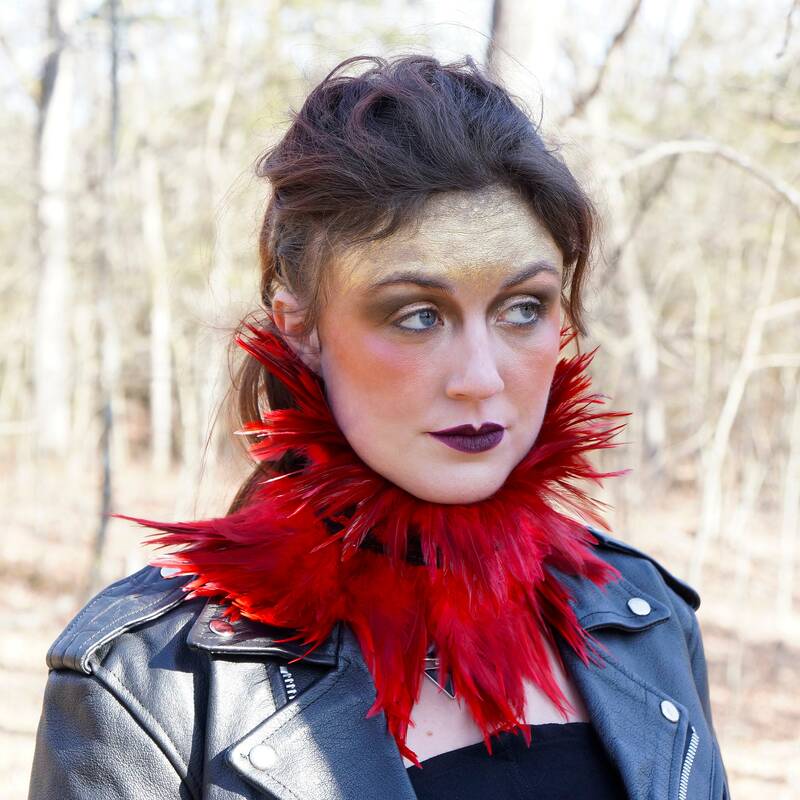 This feather choker makes a dramatic accessory for any event, costume, or night out on the town. 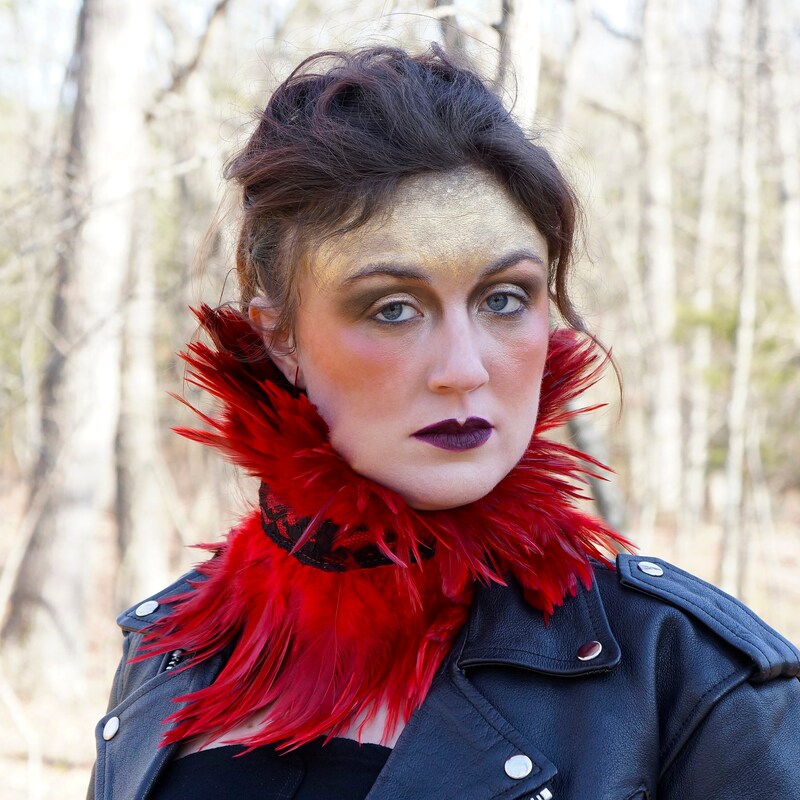 SUGGESTED USES: Feather Chokers make great Accessories for to be worn at Special Events & Parties, for Costumes, and can add a lot of drama when worn for Photo shoots, on Stage or Screen, and much more. SIZE: 10" x 13.5" Our products are made with natural materials; therefore each item will have unique differences and variances.